1 year warranty, call 1-877-347-7727 for more information. The Nebraska table is made from weather resistant resin that imitates the weave of resin wicker; easy to assemble/disemble for storage; made in Italy; designed for functional and everyday living. A perfect addition to any house, garden, restaurant and/or bar. The careful design and study of the natural rattan interweaving pattern gives a romantic atmosphere creating a sense of absolute harmony. Enjoy your outdoor space with the Hampton Bay Spring Haven patio furniture made with beautifully hand-woven wicker and durable steel furniture frames. The table has a tempered glass inset and handy bottom shelves for extra storage. . Perfect for your porch, patio or sunroom. Coordinate this table with other pieces in the Spring Haven Collection. Our cooler table is an entertainers best friend. Upscale fashion and function for outdoor parties. Works as a patio table or side table for picnic items, provides extra space for food preparation and deep ice basin keeps beverages cold like no other. Smartly crafted of solid wood harvested from the Cypress tree family with decay resistance similar to Western Red Cedar. Side Table - Square Spa Surround Furniture The Side Table is designed to be used alongside other items from the Spa Surround Furniture collection to create the ultimate outdoor oasis that perfectly surrounds your square or rectangular spa. 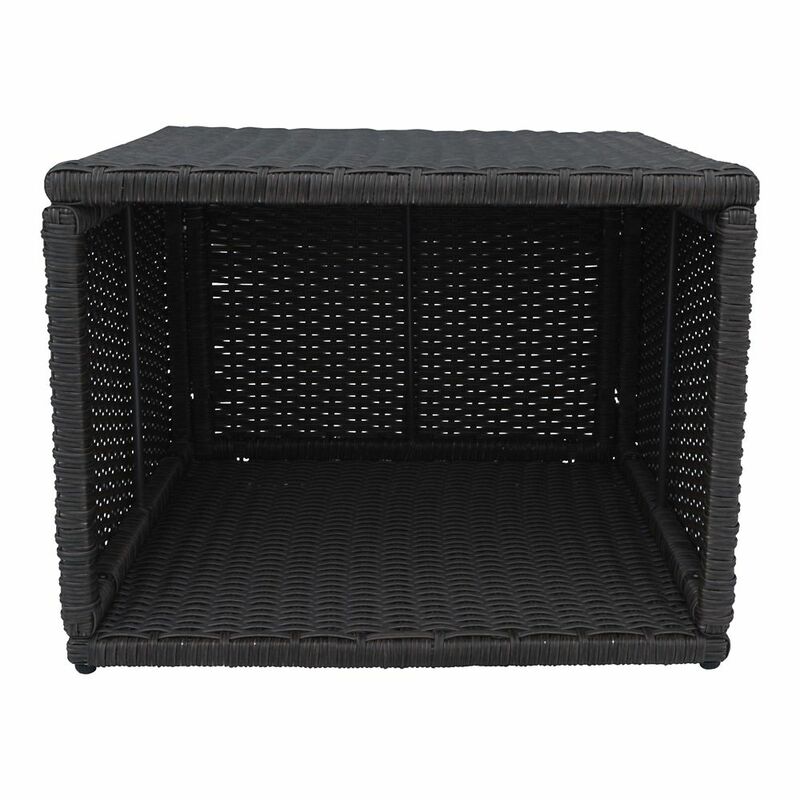 It features an attractive wicker finish, constructed of a durable, weather resistant, synthetic rattan. Its hollow side allows space for you to conveniently store your towels and other items.